Zong 4G Bolt+ (Huawei) price in Pakistan is 3000 PKR. You can read price, specifications, packages, and details on more internet bundles at TechJuice. 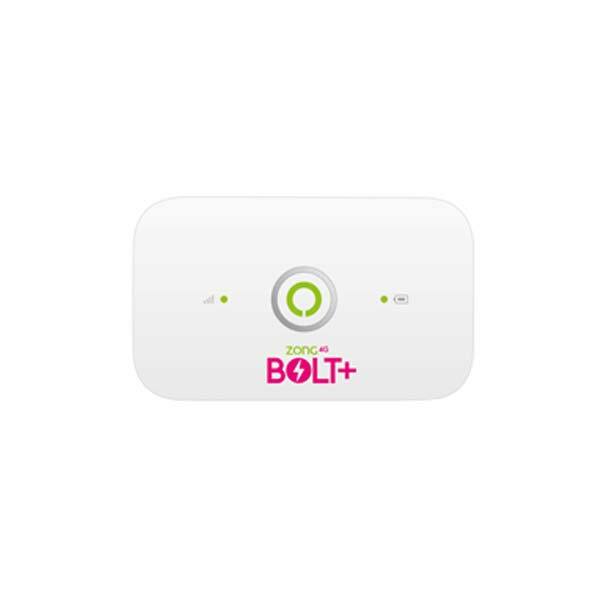 Zong 4G Bolt+ is a battery operated 4G device offered by Zong. The device can connect up to 10 Wifi devices at the same time and offers uninterrupted connectivity on the go. It supports the Internet speed of up to 150 Mbps and comes with a 1500 mAh battery which can last for 6 hours on a single charge. This means that if you are a traveler and want internet connectivity on the go, this might be the best device for you. It supports both 2.5GHz and 5 GHz bands to ensure better connectivity. It also has the LTE/3G/2G fallback option which ensures uninterrupted connectivity in all areas. There are a lot of packages offered by Zong for the Bolt+ Zong 4G device in the form of Monthly Bundles, 3-Month Bundles, 6-Month Bundles and a yearly bundle. The overall rating is based on 16 reviews by users. plz send details of ur internet device i want to purchase and i live in harbanspura lahore plz tell me about nearest service center. Multi sim activated huawei clouds available or not????? If available then its price in Pakistani rupees…. It's best for all and i think it's packages many costly. I live a dounle storey building. I am interested infinding the range of this device. How far the signal will reach, this is what I want to know. Can any user or some one else help. My name is muhammad khalil and i use the World call USB but i think it is home of problems every time area down no single, week single then i purchased Evo but cut in same problem and lost of time and money. Three days ago i purchased chargeable Zong 4G Bolt+ i think this was better then all devices which was i used before. - The latest price of Zong 4G Bolt+ (Huawei) was obtained on . - Buy Zong 4G Bolt+ (Huawei) online in Pakistan for the lowest price. There are different payment options for online buying. You can also avail the options of Cash on Delivery (COD) and Online Credit Card Payment on purchase of this product.